Is There a Billion-Dollar Fraud in the Heart of the Bitcoin Market? 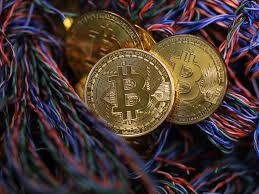 Imagine how much more difficult it must be to look behind the bitcoin curtain at the thousands of alternative currencies, crypto applications, crypto exchanges, so-called “miners” and other facets of the global crypto scam. Is the technology for real? Absolutely, and it’s here to stay, with the promise of profound disruption in financial intermediation as we know it. Are the cryptocurrencies for real? For the most part no. It’s impossible to cover the entire field in one summary or link, but this article will give you a good look behind the curtain. There’s a new cryptocurrency called “tether.” The issuer promises that 1 tether equals 1 U.S. dollar, really a fixed exchange rate similar to the gold-dollar link under the old Bretton Woods system (except there’s no gold this time). It turns out that when people say, “I sold my bitcoin at a huge profit,” what they really did was exchange bitcoin for tether (using the bitcoin/dollar exchange rate at the time) and are now holding tether in the belief that they have a dollar equivalent. The reason to do this is to remain anonymous in the dark cloud rather than showing your face in the dollar payments system — not a bad idea if you’re a drug dealer, terrorist or worse. But how solid is the dollar/tether link? No one knows. Tethers can be issued in unlimited quantities (just like dollars). The tether issuer claims to have a “dollar reserve” to back up redemption requests for dollars from tether holders. What if they don’t? What if the tether issuer is holding the bitcoin and racking up gains without ever converting to dollars? Bretton Woods ended with a run on the gold in Fort Knox, which Nixon solved by shutting the gold window. If a run on tether or bitcoin begins, don’t be surprised to see the issuer stop redemptions of tether for dollars. At that point, tether and bitcoin will crash together and the dollars will be gone forever.